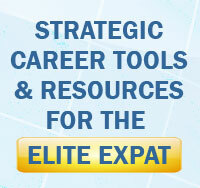 Expats Direct is a member only service organisation for Expatriates worldwide. We have been serving professional, highly qualified Expatriates for 17 years and have built a solid reputation. We are dedicated to helping fellow expatriates throughout the world. Our goal has always been to provide efficient online support services and access to employment opportunities for professional and experienced expatriates or for those just wishing to relocate overseas. For only GBP 64.95 (Sixty-Four Ninety-Five) for 12 month membership (less than 18p per day) we aim to provide you with career support services, such as help in CV writing, interview skills, job openings, job search, application and tracking management features. Recruiters and employers are eagerly seeking qualified and experienced candidates to fill their vacancies overseas. At any one time we have hundreds of live and fresh jobs representing the hottest opportunities available overseas right now. Our posted job openings are constantly updated on a daily basis. Please note that we are NOT a recruitment or employment agency and your applications will be made to third parties, not us. Our platform facilitates this process for you by giving you excellent management features that simplify the entire process and make your job-seeking much less time consuming and more efficient.